There is no safe method for canning plain fish and seafood other than pressure canning. When you go to can fish or seafood, make sure you following the directions for that specific fish or seafood from a reputable source such as Ball, Bernardin, your local Extension Service, the USDA Complete Guide, So Easy to Preserve (SETP), or the National Center for Home Food Preservation. If you want online sources, don’t trust random bloggers. If you don’t have a recent canning book from one of the above, then trusted, tested and safe guidelines for pressure canning fish and seafood are online on the National Center page for meat, fish and seafood, and, are in the USDA 2015 Complete Guide which is also available free online. The Ball Blue Book contains the most sparse information for each of the above (and nothing on smoked fish), but it does contain a procedure for shrimp. ( Ball Blue Book. Edition 37. 2014. Page 102.) The Ball / Bernardin Complete Book (2015) contains the least amount of information, covering only general fish, and clams. Following are some general points that we extracted from reputable sources and assembled together for your convenience. Clams (live, not smoked) Clams. In: USDA Complete 2015. Page 5-9. Ball / Bernardin Complete, 2015. Page 395. Bernardin Guide, 2013. Page 106. Notes: Keep live until ready to can. Clams (minced) PNW Seafood 2016. Page 6. Crab (King and Dungeness) Crab (King and Dungeness). USDA Complete 2015. Page 5-9. Blue Book 37th edition. Page 101. Notes: In terms of quality, the recommendation is to freeze rather than can. Keep live until ready to can. Crab (Blue) NO. Specifically recommended against. The recommendation against seems to be based on quality grounds. Fresh fish: Blue, mackerel, salmon, shad, steelhead, trout, and other fatty fish EXCEPT tuna. (Half-litre / pint jars) Fish in Pint Jars. In: USDA Complete 2015. Page 5-10. Ball / Bernardin Complete, 2015. Page 394. Bernardin Guide, 2013. Page 107. Fresh fish: Blue, mackerel, salmon, steelhead, trout, and other fatty fish EXCEPT tuna. (Litre / quart jars) Fish in Quart Jars. In: USDA Complete 2015. Page 5-11. Oysters Oysters. In: USDA Complete 2015. Page 5-12. Blue Book 37th edition. Page 102. Notes: Keep live until ready to can. NOT smoked. Salmon Bernardin Guide, 2013. Page 108. Note: Bernardin Guide dedicates a whole, entire page to canning salmon in great detail. The others include it with general fish. Shrimp Blue Book 37th edition. Page 102. PNW Seafood 2016. Page 7. Smoked Fish (Salmon, rockfish and flatfish (sole, cod, flounder) and other fish. NOT smoked seafood.) Smoked Fish. In: USDA Complete 2015. Page 5-13. Notes: 16 quart and higher pressure canners only, max 1 pint / half-litre jars. Special pressure canner procedures. Tuna Tuna. In: USDA Complete 2015. Page 5-14. Note in the table above that “fresh fish” means unsmoked. Uncooked or unsmoked raw fish that has been frozen and then thawed counts as “fresh” as far as the table above is concerned. Bernardin Guide 2013 = Bernardin Guide to Home Preserving. Toronto, Canada: Bernardin Ltd. 2013. Blue Book 37th edition = Ball Blue Book. Muncie, Indiana: Healthmark LLC / Jarden Home Brands. Edition 37. 2014. SETP 2014 = Andress, Elizabeth L. and Judy A. Harrison. So Easy to Preserve. University of Georgia Cooperative Extension. Bulletin 989. Sixth Edition. 2014. 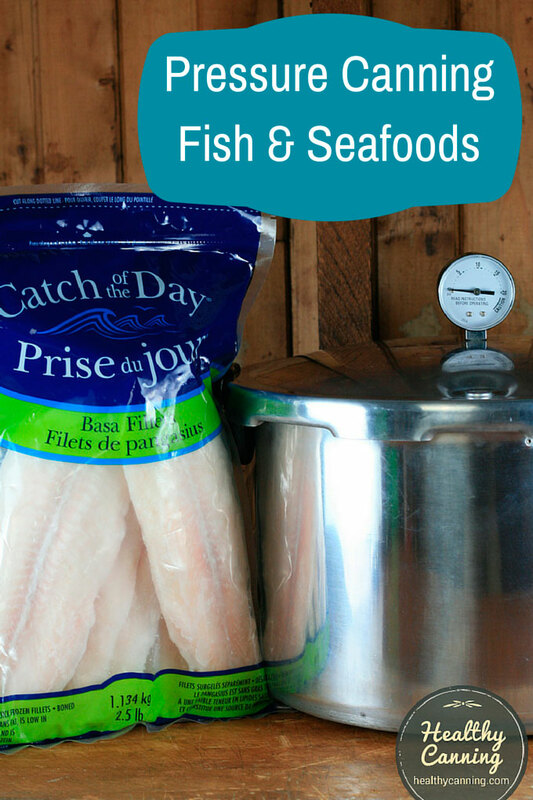 Most people new to pressure canning would probably be surprised to see that the processing times for fish and seafood can be more than those for meat. Meat times are 65 to 75 minutes per half-litre (US pint) jar, depending on bone-in or bone-out. Times for fish in half-litre (US pint) jars is far longer: 100 minutes for fresh, and 110 minutes for smoked. Salmon and other finfish are also reservoirs for Clostridium botulinum, in particular type E botulinum. Salmon and other animals ingest botulinum spores resulting in the spores being present in the intestinal tract of the animals. Fish, especially uneviscerated (ungutted) fish and poorly cleaned fish, are considered from a food processing viewpoint to be higher risk and potentially hazardous foods.” BC Centre for Disease Control. Botulism in British Columbia: The RISK of Home-Canned Products. January 2015. Finned or shell-bearing creatures taken from salt or fresh water are right up among the front-runners in the botulism sweepstakes. Add to this that in general they are the most perishable of all fresh foods and have great density of texture, and you see why fish and shellfish require faultless handling and longer Pressure-processing than do other foods that are canned at home.” Hertzberg, Ruth. Putting Food By: Fifth Edition (p. 168). Penguin Publishing Group. Kindle Edition. Ball and Bernardin support only fish in jars up to a pint (half-litre) in size. Quart / litre sized jars for fresh fish (not tuna or smoked) is supported with longer, tested processing times by So Easy to Preserve, the USDA Complete Guide, and many branches of the Cooperative Extension System. Smaller size jars ( 8 oz, 12 oz / 250 ml, 350 ml) are fine with any recipe that allows for pints / half-litres. Use the full processing times for pints / half-litres. Note that for smoked fish, though, So Easy to Preserve advises that smaller jars may result in lower quality: “Half-pints could be safely processed for the same length of time as pints, but the quality of the product may be less acceptable.” Andress, Elizabeth L. and Judy A. Harrison. So Easy to Preserve. Page 101 – 103. One jar in particular is so popular for canning fish in, that it is often referred to as a “salmon” jar. 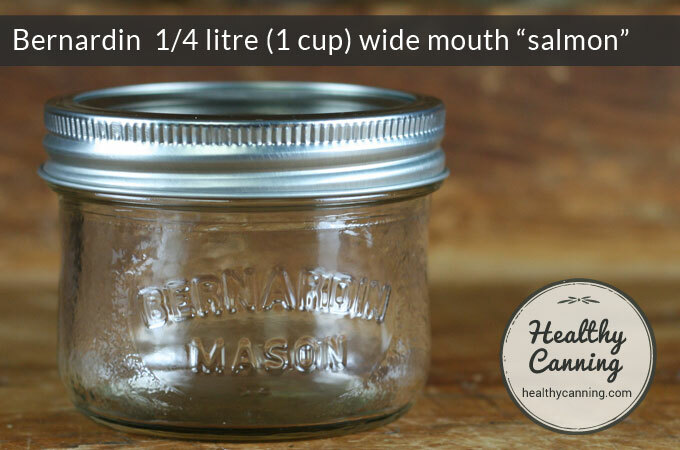 This jar is 1/2 pint (250 ml / quarter-litre) in capacity, short and squat, with a wide mouth. The jar is offered by both Bernardin and Kerr. It mimics the size and shape of tins that salmon and tuna are often sold in. 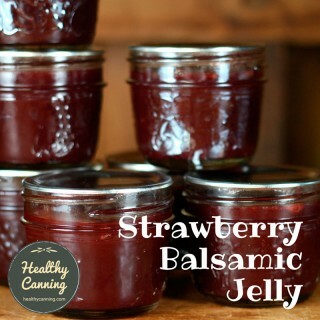 The jars may be popular for canning fish in part because they are very easy to clean afterward. The standard venting time of 10 minutes for your pressure canner before putting the weight on is followed when canning pint / half-litre jars of fish. The directions for operating the pressure canner during processing of quart (litre) jars are different from those for processing pint jars, so please read the following carefully. It is critical to product safety that the processing directions are followed exactly. When you are ready to process your jars of fish, add 3 quarts (litres) of water to the pressure canner. Put the rack in the bottom of canner and place closed jars on the rack. Fasten the canner cover securely, but do not close the lid vent. Heat the canner on high for 20 minutes. If steam comes through the open vent in a steady stream at the end of 20 minutes, allow it to escape for an additional 10 minutes. If steam does not come through the open vent in a steady stream at the end of 20 minutes, keep heating the canner until it does. Then allow the steam to escape for an additional 10 minutes to vent the canner. This step removes air from inside the canner so the temperature is the same throughout the canner. 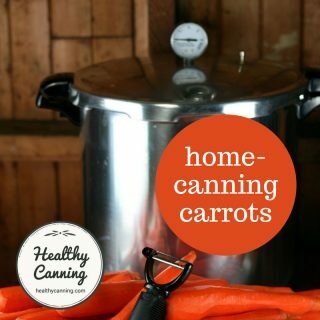 The total time it takes to heat and vent the canner should never be less than 30 minutes. The total time may be more than 30 minutes if you have tightly packed jars, cold fish, or larger sized canners. (Then) For safety’s sake, you must have a complete, uninterrupted 160 minutes (2 hours and 40 minutes) at a minimum pressure required for your altitude. Write down the time at the beginning of the process and the time when the process will be finished.” Andress, Elizabeth L. and Judy A. Harrison. So Easy to Preserve. Page 101 – 102. To be clear, this longer venting is for quart / litre size jars only. For pints / half-litres, use the standard 10 minute vent. “Smoked Fish: ….Use a 16 quart or larger pressure canner for this procedure; do not use smaller pressure canners. Safe processing times haven’t been determined.” All American Manual. 2014. Page 35. In preparing fish or shellfish for processing or freezing, do not wash in sea water or use sea water for precooking, etc.”  Hertzberg, Ruth; Greene, Janet; Vaughan, Beatrice (2010-05-25). Putting Food By: Fifth Edition (p. 29). Penguin Publishing Group. Kindle Edition. Water used in cleaning seafood and preparing them for packing must be of drinking quality—whether it’s the running water for washing them (which is always done under a tap, or with a spray or hose), or the water in a brine or antidiscoloration solution, or the canning liquid that goes in the jar. Reason: it’s easy to introduce dangerous bacteria, including C. botulinum itself, into the flesh by using polluted or contaminated water at any stage. Do not rinse fish in stream or lake water. Do not precook shellfish in seawater. If your household drinking water contains a lot of minerals, use bottled water at least for the canning liquid (iron, especially, reacts with the sulfur in the meat of shellfish and causes the product to darken).”  Hertzberg, Ruth; Greene, Janet; Vaughan, Beatrice (2010-05-25). Putting Food By: Fifth Edition (p. 171). Penguin Publishing Group. Kindle Edition. Citric acid (and lemon juice) can be used for canning: the picked meat of crabs, lobsters, shrimp, and clams is given a brief dunk in a fairly tart solution of citric acid or lemon juice as a way to offset the darkening action of minerals naturally present in such foods (otherwise the meats would be likely to discolor during processing and storage). The dip lasts about 1 minute, and the meat is pressed gently to remove excess solution. White (distilled) vinegar may be used too, but it might contribute a slight flavor of its own.”  Hertzberg, Ruth; Greene, Janet; Vaughan, Beatrice (2010-05-25). Putting Food By: Fifth Edition (pp. 38-39). Penguin Publishing Group. Kindle Edition. When you are pressure canning fish, some people suggest to also add some lemon juice to the canning water, up to 8 tablespoons — to counteract the fishy smell that may otherwise linger in your pressure canner for days! leave skin on and place salmon in jars skin side next to glass. Salmon is rich in omega 3 fatty acids and calcium. The calcium is found mainly in the bones which soften during the pressure canning process. To reap the full nutritional benefits of salmon, include the salmon juices and bones in recipes prepared from home canned salmon. The bones easily flake into mixtures and become indistinguishable from the fish.” Bernardin Guide to Home Preserving. Toronto, Canada: Bernardin Ltd. 2013. Page 108. Smoking of fish should be done by tested methods. Lightly smoked fish is recommended for canning because the smoked flavor will become stronger and the flesh dried after processing. However, because it has not yet been cooked, do not taste lightly smoked fish before canning.”  Andress, Elizabeth L. and Judy A. Harrison. So Easy to Preserve. University of Georgia Cooperative Extension. Bulletin 989. Sixth Edition. 2014. Page 102. For long-term storage, smoked salmon must be frozen or canned. Fully smoked fish that is dry enough to eat tend to be too dry and strong-flavoured after home canning. Do not reduce processing time to lessen these quality changes. The smoking technique must be modified when smoked salmon is to be home canned.” Bernardin Guide. 2013. Page 108. Processing Change for Smoked Fish: The directions for filling the pressure canner for processing smoked fish are different from those for other pressure canning, so please read the following carefully. It is critical to product safety that the processing directions are followed exactly. When you are ready to process your jars of smoked fish, measure 4 quarts (16 cups) [Ed: 4 litres] of cool tap water and pour into the pressure canner. (Note: The water level probably will reach the screw bands of pint jars.) Do not decrease the amount of water or heat the water before processing begins. Place prepared, closed jars on the rack in the bottom of the canner, and proceed as with usual pressure canning instructions. Process in a Dial Gauge Pressure Canner at 11 pounds pressure OR in a Weighted Gauge Pressure Canner at 10 pounds pressure. Pints 110 minutes (1 hour and 50 minutes.) Andress, Elizabeth L. and Judy A. Harrison. So Easy to Preserve. Page 103. Safe processing times for other smoked seafoods have not been determined. Those products should be frozen.” Andress, Elizabeth L. and Judy A. Harrison. So Easy to Preserve. Page 102.
the largest size of jar supported is pint / half-litre. “Do not use jars larger than one pint.” Andress, Elizabeth L. and Judy A. Harrison. So Easy to Preserve. Page 103. And, both SETP and USDA note, “Use a 16 to 22 quart pressure canner for this procedure; do not use smaller pressure saucepans. Safe processing times have not been determined for smaller pressure saucepans.” Andress, Elizabeth L. and Judy A. Harrison. So Easy to Preserve. Page 103. As you see, there’s a few things you must keep in mind with smoked fish, so make sure you have your up-to-date canning guide from a reputable source open in front of you as you go! Fish may be frozen before canning. However, it must be thoroughly thawed with no ice crystals in it before canning. 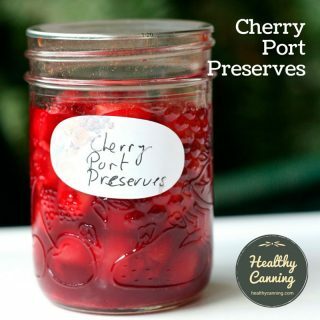 So Easy to Preserve says, “If the fish is frozen, thaw it in the refrigerator before canning. Rinse the fish in cold water.”  Andress, Elizabeth L. and Judy A. Harrison. So Easy to Preserve. Page 100. Bernardin says, “… it must be thawed in the refrigerator before you begin. Do not pack frozen fish into jars.” Bernardin Guide. 2013. Page 108. Note that all reputable sources agree that the fish must be thawed in the refrigerator. This means “no” to the usual “sink of hot water” trick we all are tempted to engage in from time to time in the kitchen. So Easy to Preserve (SETP) says, “Refrigerate all fish until you are ready to pack in jars.” They then call for packing the fish into hot jars. Ball as well calls for hot jars: “Pack fish… into a hot jar.” Ball Blue Book. Muncie, Indiana: Healthmark LLC / Jarden Home Brands. Edition 37. 2014. Page 102. This is where Bernardin differs. They say that if the fish is cold, they want it going into unheated jars. If fish has been refrigerated, do not heat jars prior to filling. Pack fish into prepared jars….. When canning chilled fish, add room temperature water to pressure canner to level specified by manufacturer.” Bernardin Guide. 2013. Page 107. It’s not clear whether Bernardin is after a longer warm-up time or trying to avoid thermal shock to the jars, or both. Remove head, tail, fins, and scales. It is not necessary to remove the skin. You can leave the bones in most fish because the bones become very soft and are a good source of calcium. For halibut, remove the head, tail, fins, skin, and the bones.”  Andress, Elizabeth L. and Judy A. Harrison. So Easy to Preserve. Page 100. Ball and Bernardin want fish skin facing the glass of the jars. Ball says, “Pack fish, skin side next to glass….” Ball Blue Book. Edition 37. 2014. Page 102. Bernardin says, “Pack fish into prepared jars, skin side next to glass….” Bernardin Guide. 2013. Page 107. If the skin has been left on the fish, pack the fish skin out, for a nicer appearance or skin in, for easier jar cleaning.”  Andress, Elizabeth L. and Judy A. Harrison. So Easy to Preserve. Page 100. Do NOT reprocess jars of seafood found to have poor seals during the 24 hours of grace between canning and storage. And even if the contents are decanted into fresh containers and done over from scratch, the result is likely to be unsatisfactory.”  Hertzberg, Ruth; Greene, Janet; Vaughan, Beatrice (2010-05-25). Putting Food By: Fifth Edition (p. 172). Penguin Publishing Group. Kindle Edition. The above points should have made it clear that the procedures for canning fish and seafood are so specialized depending on exactly what type of fish or seafood that you are canning that you do really need a reputable source to guide you along. Here’s how those reputable sources compare. The USDA Complete Guide (2015) and So Easy To Preserve (2014) give the same amount of information on fish and seafood, pretty much verbatim. We noticed only a sentence difference in the Oysters procedure. 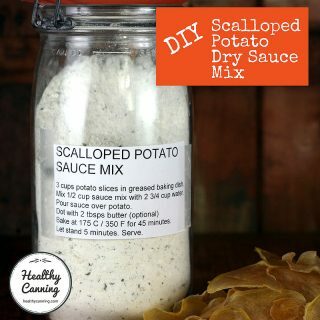 (SETP adds “Add 1/4 teaspoon salt to half-pint jars.”) They both cover clams, crab, oysters, tuna, smoked fish, fish in pint (half-litre) jars, and fish (other than tuna) in quart (litre) jars. Neither covers shrimp. The Ball Blue Book (37th edition, 2014) covers clams, crab, oysters, shrimp, tuna, and fish in pint (half-litre) jars. It is the only reputable resource to cover shrimp. However, the guidance in general for the others is sparse (it’s missing a lot of the helpful tips and rationale that the USDA and SETP have), and it’s also missing support for smoked fish, and fish in quart (litre) jars. The Ball / Bernardin Complete is the least helpful of all, surprisingly. It only covers general fish (not tuna) in pint / half-litre jars, and clams. Reminder: none of the above support Blue Crab. By crab, they mean King and Dungeness. The Ball All New (2016, page 359) also has a recipe for Gravlax, which they call “Cold Cured Salmon.” It is also for refrigerated storage. Because antipasto is available commercially, many people believe they can preserve their own recipe at home. Most traditional antipasto recipes cannot be home canned safely and successfully. Low acid ingredients—olives, fish, vegetables—in antipasto recipes, even those that come from commercially canned products, require high heat processing for long time periods. 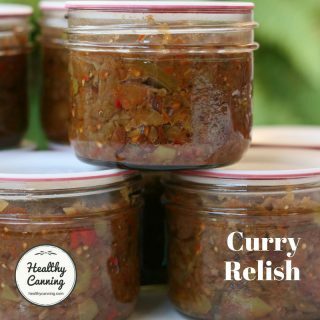 The resulting home canned products are unacceptable in both texture and taste.This recipe has been specially formulated to allow for a well-balanced flavour, and varied texture low acid vegetables to be processed safely in a boiling water canner. Do NOT alter ingredients or measures. To create a traditional antipasto—preserve salmon separately in a pressure canner. When ready to serve antipasto, mix a jar of Vegetarian Antipasto with a jar of salmon and add your personal finishing touches -mushrooms, olive oil and/or olives— fresh antipasto each time it’s served!” Bernardin. Vegetable antipasto. Accessed May 2017 at https://www.bernardin.ca/recipes/vegetable-antipasto.htm?Lang=EN-US . 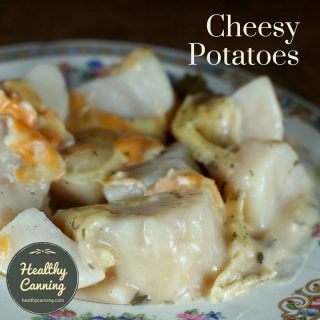 There are no tested procedures for home canning fish or seafood stocks from any of the pressure canning sources customarily accepted as reputable: Ball, Bernardin, National Center for Home Food Preservation, USDA, various Cooperative Extension Services. The following we mention for the sake of thoroughness but this is not a recommendation. The book, Putting Food By, does have procedures for two seafood stocks. We’re uncertain, as we say in this review of Putting Food By, of the “status” of the book. At least three Extension Services use it as a reference; most do not. And Healthy Canning is not in a place to endorse it one way or the other; in all humility, we’re sure the authors have forgotten more than we’ll ever know. That being said, here are the two seafood stock procedures they give. If you are bound and determined to try, it’s probably best to at least grab an inexpensive Kindle version of the book so that you are following all the preparation steps exactly as they want you to. Putting Food By does not have anything else in it for fish stock or any other seafood stock; that’s it. Remember: fish and seafood stocks are very delicate. Canning processes could affect the quality. In the end, it does seem likely that freezing them may be the best choice to ensure that the stocks don’t get “cooked” so long during processing that they become “overly fishy”. Video: Canning Fish in Jars by Sonja Koukel. University of Alaska Fairbanks Cooperative Extension Service. August 2010. Brandt, Jeanne. Canning seafood. Oregon State University. PNW 194. 2016. Page 7. Dinstel, Roxie Rodgers. Home Canning Smoked Fish and Home Smoking Fish for Canning. University of Alaska Fairbanks Cooperative Extension Service. FNH-00223. Revised July 2012. Long, Kristy. Canning Fish in Quart Jars. University of Alaska Fairbanks Cooperative Extension Service. FNH-00126 . Revised April 2012. Rasco, Barbara et al. Canning Smoked Fish at Home. Oregon State University. PNW 450. 2014. Page 7. Van Delden, Kari. Canning the Catch. University of Alaska Fairbanks Cooperative Extension Service. FNH-00128 . Revised January 2014. Rasco, Barbara. Home Freezing of Seafood. Oregon State University. PNW 586. 2006. Rasco, Barbara et al. Smoking Fish at Home Safely. Oregon State University. PNW 238. 2009. Rasco, Barbara, Carolyn A. Raab, and Sandra M. McCurdy. Canning Smoked Fish at Home. PNW 450 Revised February 2014 . 1. ↑ Andress, Elizabeth L. and Judy A. Harrison. So Easy to Preserve. University of Georgia Cooperative Extension. Bulletin 989. Sixth Edition. 2014. Page 102. 2. ↑ BC Centre for Disease Control. Botulism in British Columbia: The RISK of Home-Canned Products. January 2015. 3. ↑ Hertzberg, Ruth. Putting Food By: Fifth Edition (p. 168). Penguin Publishing Group. Kindle Edition. 4. ↑ Andress, Elizabeth L. and Judy A. Harrison. So Easy to Preserve. Page 101 – 103. 6. ↑ Andress, Elizabeth L. and Judy A. Harrison. So Easy to Preserve. Page 101 – 102. 8. ↑ All American Manual. 2014. Page 35. 9. ↑ Hertzberg, Ruth; Greene, Janet; Vaughan, Beatrice (2010-05-25). Putting Food By: Fifth Edition (p. 29). Penguin Publishing Group. Kindle Edition. 10. ↑ Hertzberg, Ruth; Greene, Janet; Vaughan, Beatrice (2010-05-25). Putting Food By: Fifth Edition (p. 171). Penguin Publishing Group. Kindle Edition. 11. ↑ Hertzberg, Ruth; Greene, Janet; Vaughan, Beatrice (2010-05-25). Putting Food By: Fifth Edition (pp. 38-39). Penguin Publishing Group. Kindle Edition. 12. ↑ Bernardin Guide to Home Preserving. Toronto, Canada: Bernardin Ltd. 2013. Page 108. 13. ↑ Andress, Elizabeth L. and Judy A. Harrison. So Easy to Preserve. University of Georgia Cooperative Extension. Bulletin 989. Sixth Edition. 2014. Page 102. 14, 20. ↑ Bernardin Guide. 2013. Page 108. 15, 17, 18. ↑ Andress, Elizabeth L. and Judy A. Harrison. So Easy to Preserve. Page 103. 16. ↑ Andress, Elizabeth L. and Judy A. Harrison. So Easy to Preserve. Page 102. 19, 23, 26. ↑ Andress, Elizabeth L. and Judy A. Harrison. So Easy to Preserve. Page 100. 21. ↑ Ball Blue Book. Muncie, Indiana: Healthmark LLC / Jarden Home Brands. Edition 37. 2014. Page 102. 22, 25. ↑ Bernardin Guide. 2013. Page 107. 24. ↑ Ball Blue Book. Edition 37. 2014. Page 102. 27. ↑ Hertzberg, Ruth; Greene, Janet; Vaughan, Beatrice (2010-05-25). Putting Food By: Fifth Edition (p. 172). Penguin Publishing Group. Kindle Edition. 30. ↑ Bernardin. Vegetable antipasto. Accessed May 2017 at https://www.bernardin.ca/recipes/vegetable-antipasto.htm?Lang=EN-US . HAVE SOME RECIPES FOR CANNING TROUT ? Have you found any reference for forest water fish, like walleye or panfish like bluegill?